Cemetery/Memorial: Kanchanaburi War Cemetery, Thailand. Grave Reference: 2. K. 61. Additional Info. 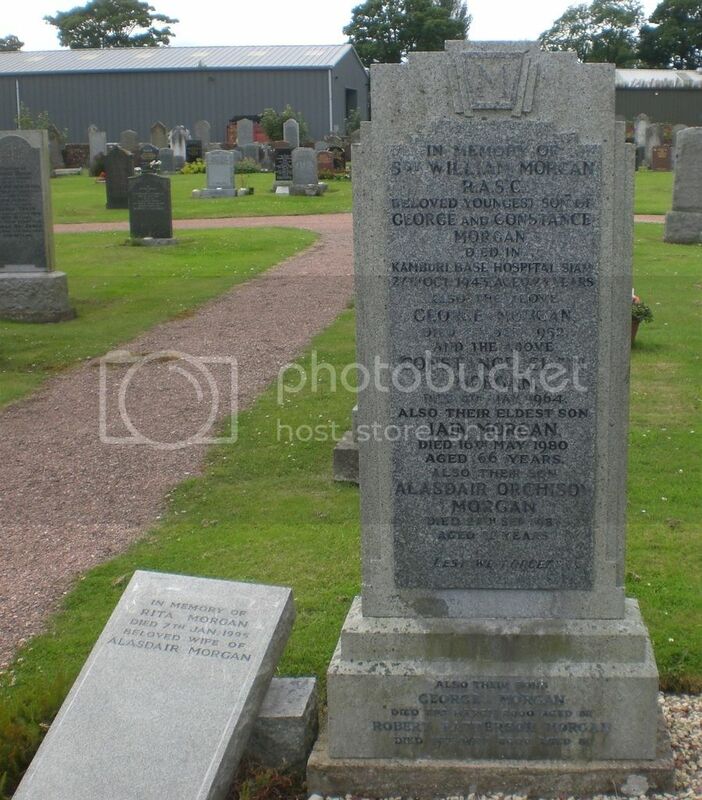 Son of George Bonthrone Morgan and Constance Elgin Morgan, of Auchtermuchty Fife. Cemetery/Memorial: Mailly Wood Cemetery, Mailly-Maillet, Somme, France. Grave Reference: II. N. 14. Additional Info. 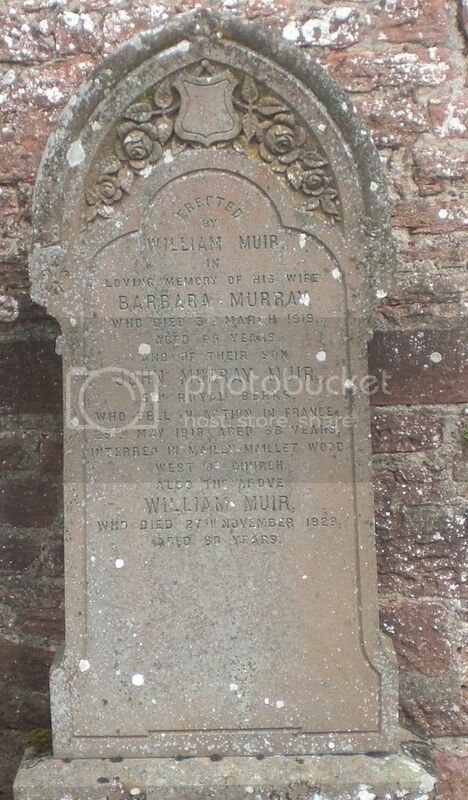 Son of William Muir, of Mournipea, Auchtermuchty, Fife. Cemetery/Memorial: Amara War Cemetery, Iraq. Grave Reference: XXI. G. 12. Additional Info. 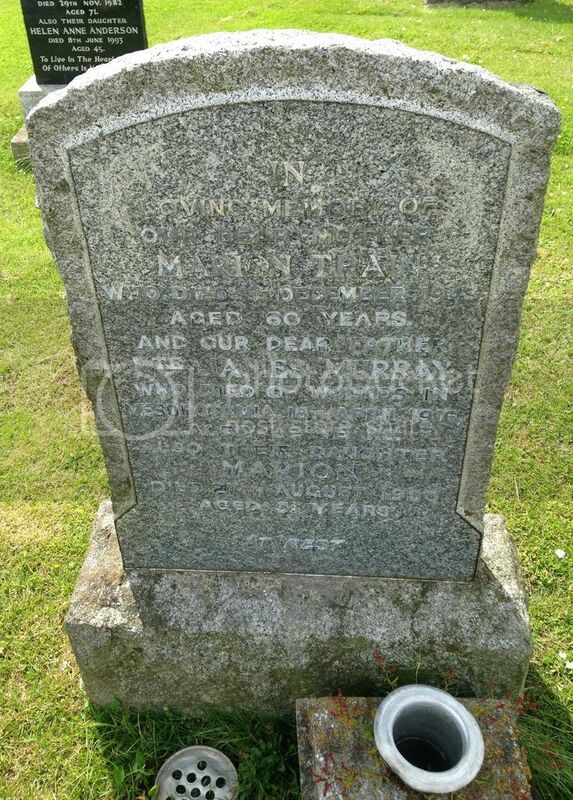 Son of Thomas and Jean Murray of Montreal, Canada; husband of Marion (Train) Murray of Croft, Auchtermuchty, Fife. Cemetery/Memorial: Arezzo War Cemetery, Italy. Grave Reference: IV. E. 28. Additional Info. 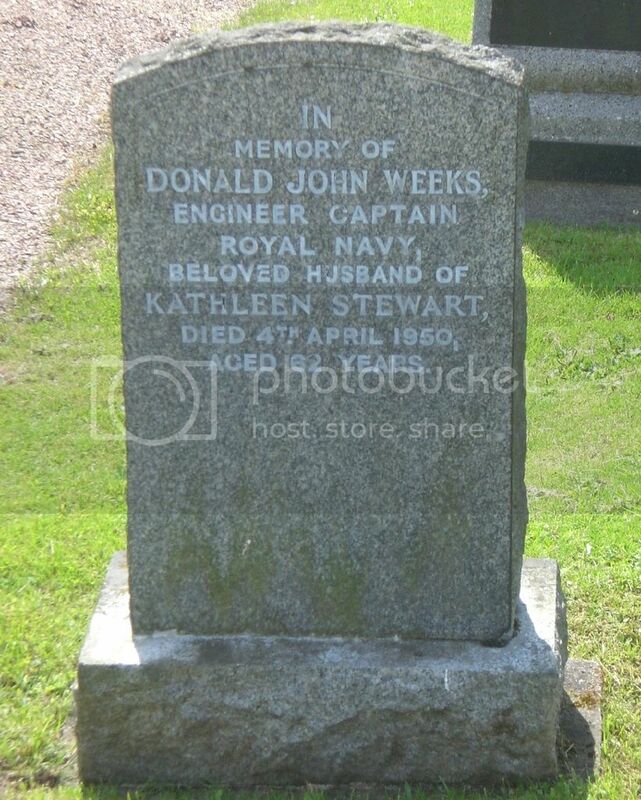 Son of James & Mrs Janet (McKenzie) Niven; husband of Marion McAllister (McKechnie) Niven. Cemetery/Memorial: Lijssenthoek Military Cemetery. West- Vlaaderen, Belgium. 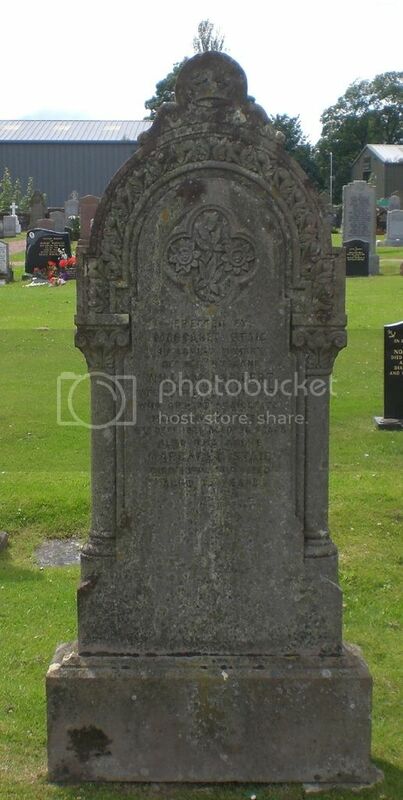 Grave Reference: V. C. 28A. Additional Info. 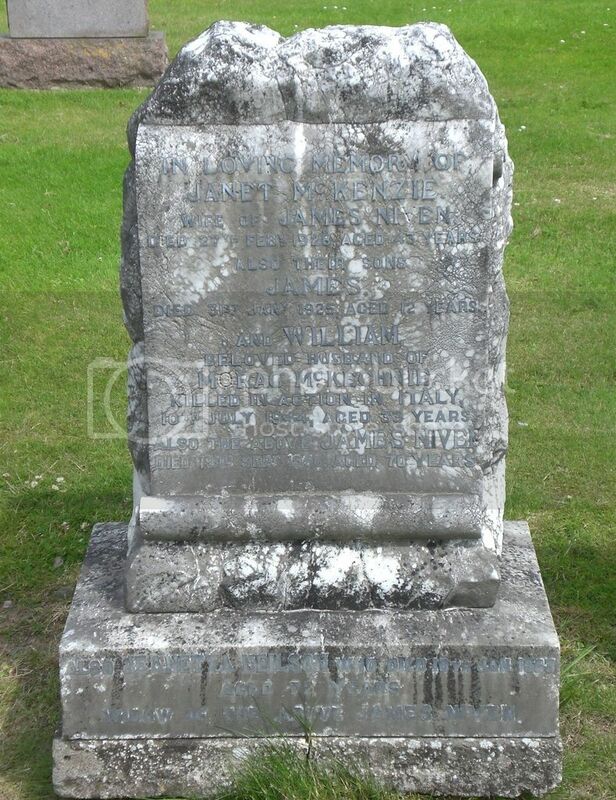 Grandson of Robert Pringle of Melbourne Cottage, Dunshelt, Auchtermuchty, Fife. Additional Info. 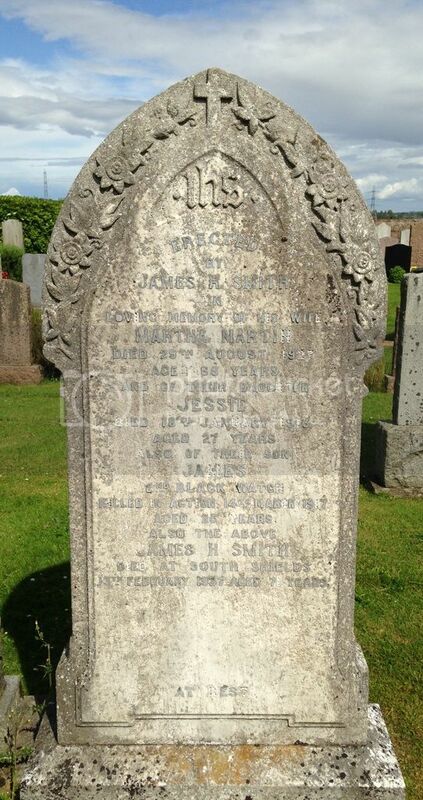 Son of James H. and Martha (Martin) Smith of Dunshelt, Auchtermuchty, Fife. Cemetery/Memorial: Etaples Military Cemetery, Pas de Calais, France. 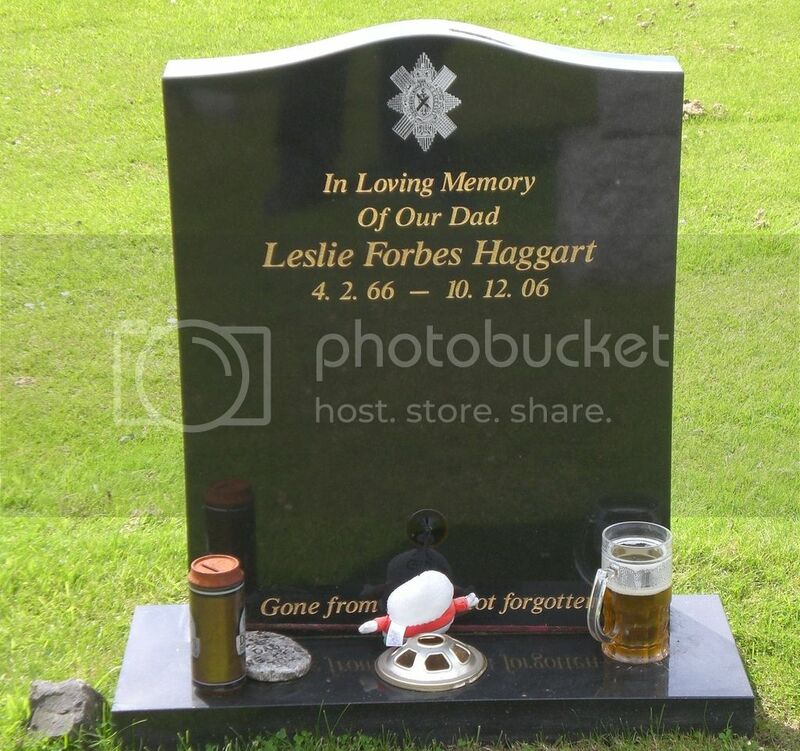 Grave Reference: LXXI. A. 1. Additional Info. 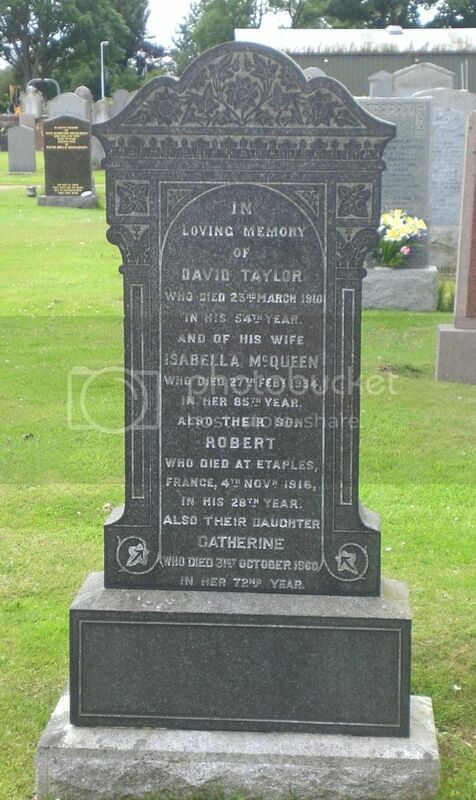 Son of Isabella (McQueen) and the late David Taylor of Auchtermuchty, Fifeshire: husband of Barbara Taylor of 58A Gladston Terrace, Wishaw, Lanarkshire. Additional Info. 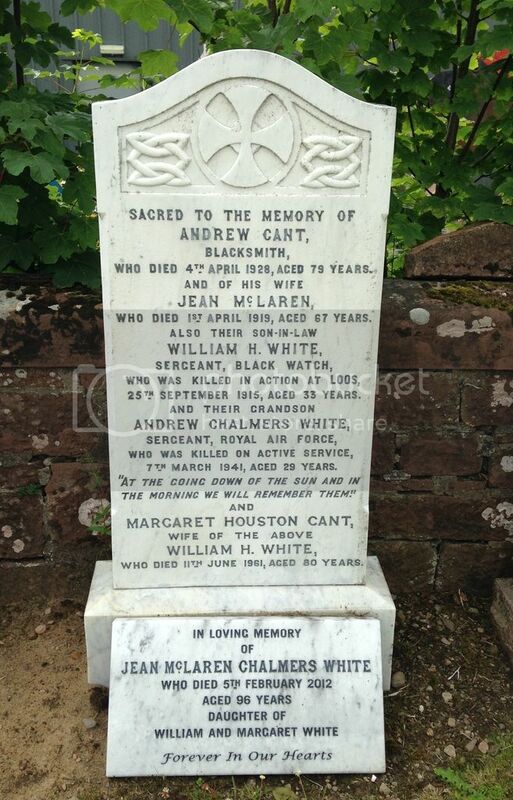 Son of the late William H. (who fell Sept. 1915) & Mrs Margaret Houston (Cant) White of Auchtermuchty, Fife. Cemetery/Memorial: Philosophe British Cemetery, Mazingarbe, France. Grave Reference: IV. G. 5. Additional Info. Son of Mr & Mrs Hector White of York Place, Perth; husband of Margaret Houston (Cant) White of Orchardflat, Auchtermuchty, Fife. Father of Andrew Chalmers White who fell on active service March 1941. Additional Info. 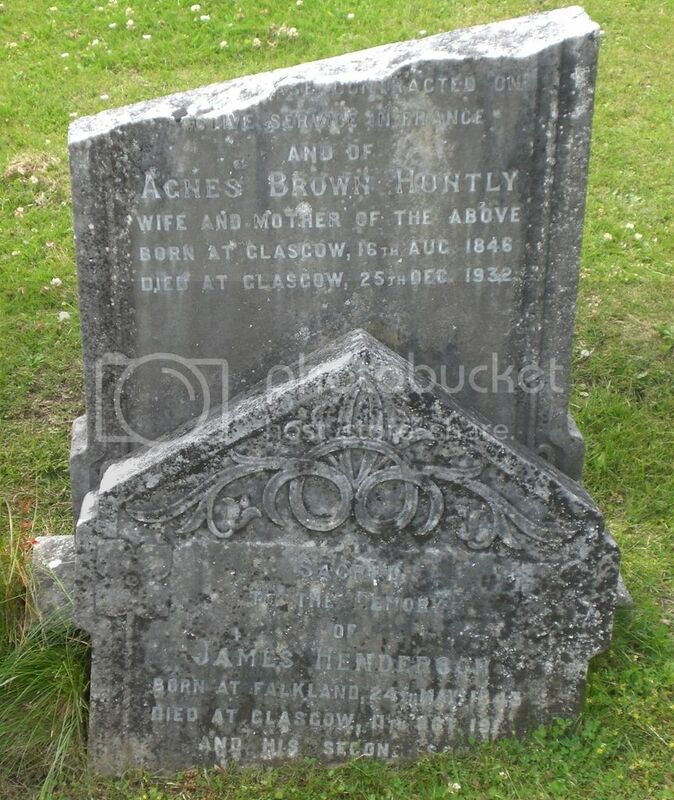 Son of James & Mrs Agnes Brown (Huntly) Henderson. Cause of death was Chronic Nephritis (Renal Failure), Vascular Disease Heart. 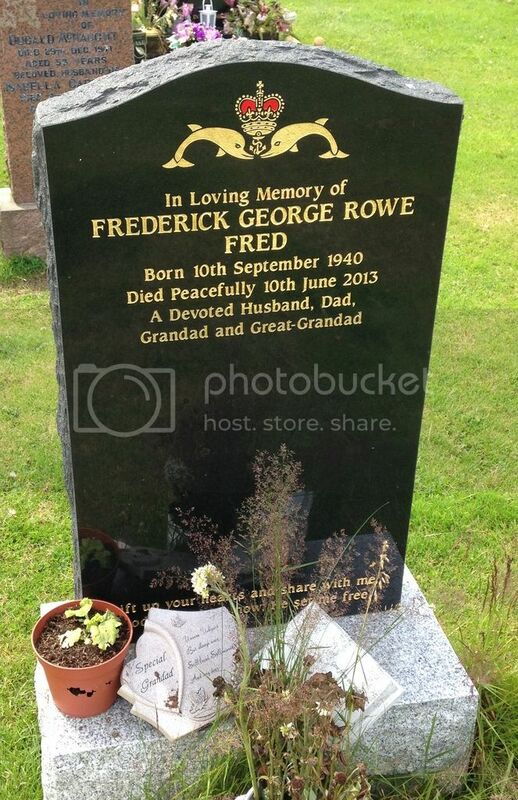 Occupation at time of death was Process Engraver (Army Pensioner). Additional Info. 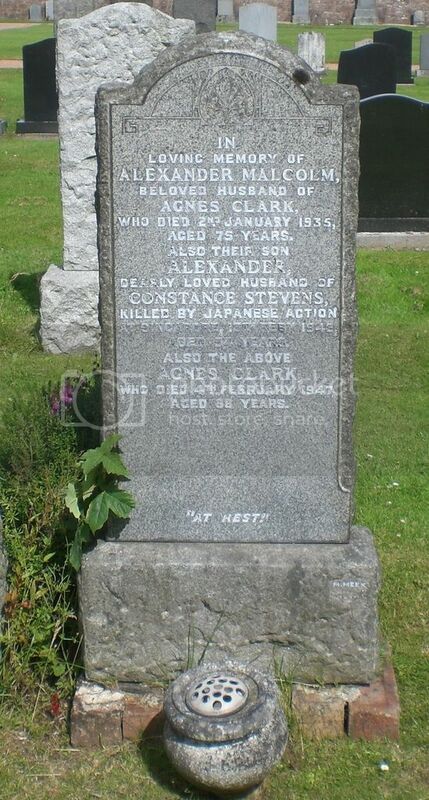 Died at Craigleith Military Hospital, Edinburgh. Husband of Margaret Staig. Cemetery/Memorial: Civilian War Dead Roll of Honour, St. George's Chapel, Westminster Abbey, London. Additional Info. of Malcolm and Co., Hong Kong and Shanghai Bank Buildings. 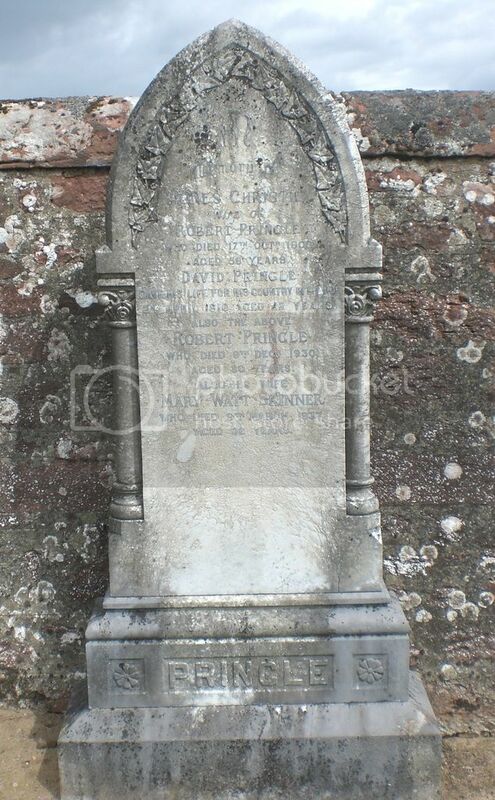 Son of Agnes Malcolm, of Lomond View, Low Road, Auchtermuchty, Fife, Scotland, and of the late Aexander Malcolm; husband of Constance Malcolm. Believed to have been on board S.S. "Redang". Launched in Copenhagen, Denmark, and registered in Bangkok, Siam, (Thailand) the Redang, with its Danish captain, Captain Rasmusson, was seized by the British on December 9, 1941, when it arrived at Singapore. She sailed from Singapore on February 12, 1942, with 89 evacuees and a skeleton crew of 10. There were also six women and three children on board. Attacked by two Japanese destroyers, it was sunk near the Berhala Strait. Thirty-two passengers got away by lifeboat but were later captured by the Japanese while making their way to shore on Sumatra. In the end, no one survived the sinking.